Trube, M. B., Prince, B. L., & Middleton, R. A. (2012). Collaborative partnerships for capacity building through professional development. In F. S. Miller (Ed. ),Transforming learning environments: Strategies to shape the next generation (pp. 81-105). Bingley, United Kingdom: Emerald. Middleton, R. A., & Prince, B. L. (2011). Redesigning teacher education from the ground up – A collaborative model. In G. Wan & D. M. Gut (Eds. 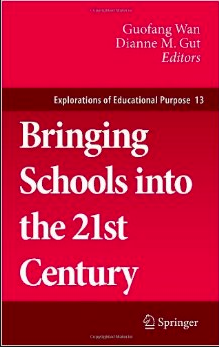 ), Bringing schools into the 21st century, Explorations of Educational Purpose 13 (pp. 225-246). New York, NY: Springer. White, R., Middleton, R.A., Madden, P., & Henning, J.E. (2014) Clinical Model of Teacher Preparation. Presentation deliver at Spring CORAS Membership Meeting. Logan, OH. White, R., & Fults, N. (2013, November). Community Forums and Educational Reform. Presentation delivered at Ohio School Boards Association (OSBA). Columbus, OH. White, R., Middleton, R. A., Murray, R., & Perkins, T. (2013, October). SEOTDC and CORAS: Southern Ohio Professional Collaboratives. Presentation delivered at Rural Education National Conference. Columbus, OH. Hansen, B. & Trube, B. (2013, March 6). Feedback from the field: Creating partnerships with higher education to support strong teacher preparation programs. Presentation delivered at Ohio Appalachia Collaborative (OAC) College and Career Readiness Showcase, Zanesville, OH. Henning, J. E., Erb, D., Webb, K., Fults, N., & Randles, H. S. (2013, March). The clinical curriculum: The foundation for a clinically based model of teacher education. Paper presented at the annual meeting of the American Association of Colleges for Teacher Education (AACTE). Orlando, FL. Henning, J. E., Erb, D., Webb, K., Fults, N., & Randles, H. S. (2012, March). Designing a curriculum for a clinically-based model of teachereducation. Paper presented at the spring conference of the Ohio Confederation of Teacher Educator Organizations (OCTEO). Dublin, OH. Middleton, R. A., Erb, D., McQueen, P., Madden, P., Osgood, R., White, R., Cropper, M., and Flora, R. (, 2012, February). A Public/Private Institutional Teacher Education Collaborative: Promoting High Quality Education for All Children. American Association of Colleges for Teacher Education (AACTE), Chicago, Illinois. Howley, A., & Trube, B. (2012, March). Designing a tool to measure mentoring styles. The Ohio Confederation of Teacher Education Organizations (OCTEO), Columbus, Ohio.